(Updated at 11:45 a.m.) Invicta will soon start selling its high-end watches — well, high end to a working journalist anyway — at the Pentagon City mall. Signs posted at a space in the Fashion Centre at Pentagon City indicate that the timepiece retailer will open on the mall’s second level soon. The new shop will be in between the Pandora Jewelry location and the Papyrus stationary store. 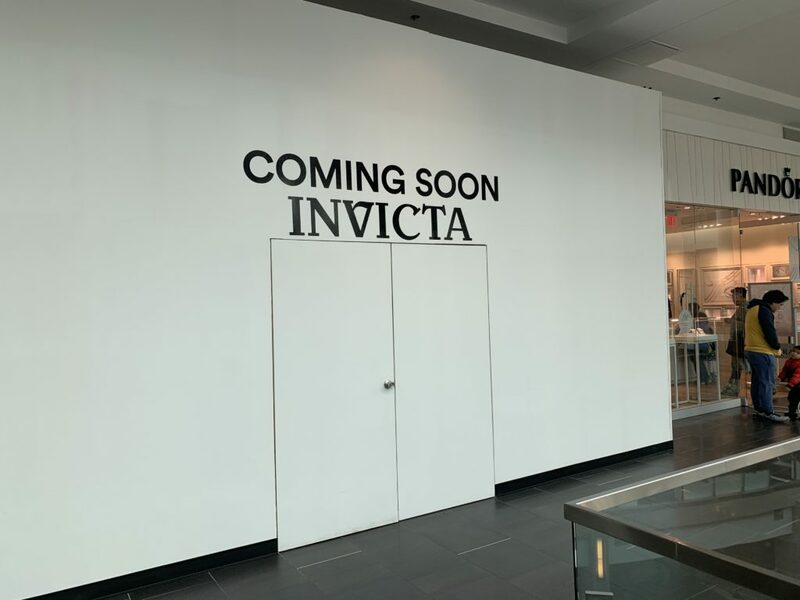 The mall’s website says that Invicta is currently set to open by May 1. The shop will be the chain’s second in Northern Virginia, with another location at the Tysons Corner Center mall. Invicta offers a variety of different of watch styles for men and women, with prices ranging from around a hundred dollars to well over a thousand. That, of course, is lower end than the nearby Tourneau watch store, which carries watches worth tens of thousands of dollars and was once robbed of more than a half-million dollars worth of merchandise.